Li Keqiang’s government work report contained hints of what the Xi-Li leadership has in mind for foreign policy. There wasn’t much diplomatic explanation in Premier Li Keqiang’s first government work report. But through comparison and observation, we can see that Li hinted at a lot of new foreign policy ideas. For those interested in China’s foreign policy, these are points deserving special attention. The 2013 government work report of Premier Wen Jiabao was the final work report for the Hu-Wen administration, which didn’t make specific arrangements for diplomatic work in the year 2013. By comparing Wen’s description of foreign policy in the 2012 government work report and the diplomatic work arrangements in the report of Li Keqiang in 2014, we can discover some similarities and differences, which in turn can help us explore the specific foreign policy characteristics of the Hu-Wen vs. Xi-Li governments as well as the two different central collective leaderships. These characteristics are shown in the following five aspects. First, the basic direction of China’s foreign policy has not changed. The description of foreign policy in the 2012 and 2014 government reports both followed the logic of “diplomacy with neighboring countries; diplomacy with developing countries; diplomacy with major powers; [and] multilateral diplomacy.” This indicates a certain continuity between the two administrations in foreign policy. In China, there is a saying that in foreign policy “the neighboring countries are of first importance and the major powers are the key.” Prior to Li’s work report, there were some voices questioning this conventional wisdom. According to the explanation in Li’s report, the basic principle of diplomacy will be continued. This indicates that in spite of the importance of relations with major powers and the urgent desire to develop those relationship, major power relations will not surpass the fundamental importance of diplomacy with neighboring countries. Second, the explanation of diplomacy with neighboring countries is different, and the government led by Li Keqiang has paid more attention in this respect. Wen’s 2012 report, when referring to diplomacy with neighboring countries, said, “We will continue to deepen friendly relations with our neighbors; actively participate in cooperation mechanisms with them; deepen regional cooperation; and work with them in creating a regional environment of peace, stability, equality, mutual trust, cooperation, and mutual benefit.” The wording emphasized stability and peace. The 2014 government report elaborated on this concept, pledging to “comprehensively promote diplomacy with neighboring countries, consolidate friendly relations with neighbors, and deepen mutually beneficial cooperation. We will safeguard the victory of the Second World War and the post-war international order, and will not allow anyone to reverse the course of history.” In fact, the wording of “comprehensively promote” echoed the high standard of the Central Committee’s October 2013 “conference on diplomatic work with neighboring countries.” Li’s work report is an external reflection of the diplomatic guiding ideology of the Central Committee. It can be seen that diplomacy with neighboring countries will continue to prosper in future. 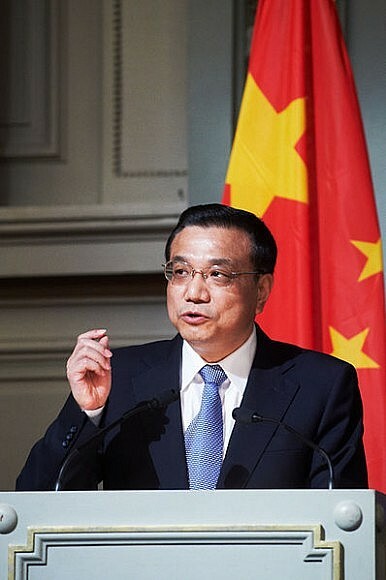 Third, Li Keqiang criticized Japan in his report. This is very uncommon in a government work report. The specific criticism comes in the sentence “We will safeguard the victory of the Second World War and the post-war international order, and will not allow anyone to reverse the course of history.” As a more practical example, this sentence was been included in Li’s discussion of diplomatic work with neighboring countries. Within China’s neighborhood, the country repeatedly criticized by China for trying to “reverse the course of history” is obviously Japan. In this way, Li Keqiang, representing the Chinese government, gave a high profile criticism of Japan. We can see just how badly the relationship between the Japanese government and the Chinese government has become. Fourth, the specific reference to safeguarding overseas interests is undoubtedly the highlight of Li Keqiang’s government work report. Li’s report promised to “resolutely safeguard its sovereignty, security and development interests, and fully protect the legitimate rights and interests of Chinese citizens and business overseas.” This sentence actually fits with the spirit of the Central Committee. The 18th National Congress of CPC Central Committee, held at the end of 2012, included the maintenance of the interests of the Chinese citizens and business overseas in the report. Li’s work report affirmed this idea, both as a theme and as an important guide for future actions. In addition, the promise to maintain rights and interests overseas has paralleled the need to maintain national sovereignty, security and development interests. Both reveal China’s rising concern with interests abroad. Fifth, the informal meeting of APEC leaders is the only specific diplomatic event mentioned in the government report this year, showing the high level of importance the Chinese government attaches to hosting this event. The past several work reports had mentioned the Beijing Olympic Games and the Shanghai World Expo, so we can reach the conclusion that the Chinese government considers the importance of Beijing hosting APEC’s informal leadership meeting as roughly equivalent to hosting the Olympic Games and the World Expo. The government considers the APEC meeting an important stage to display the new image of China. This will be a top priority of China’s diplomatic work this year.